What do you mean by "fully serviced homesites"? 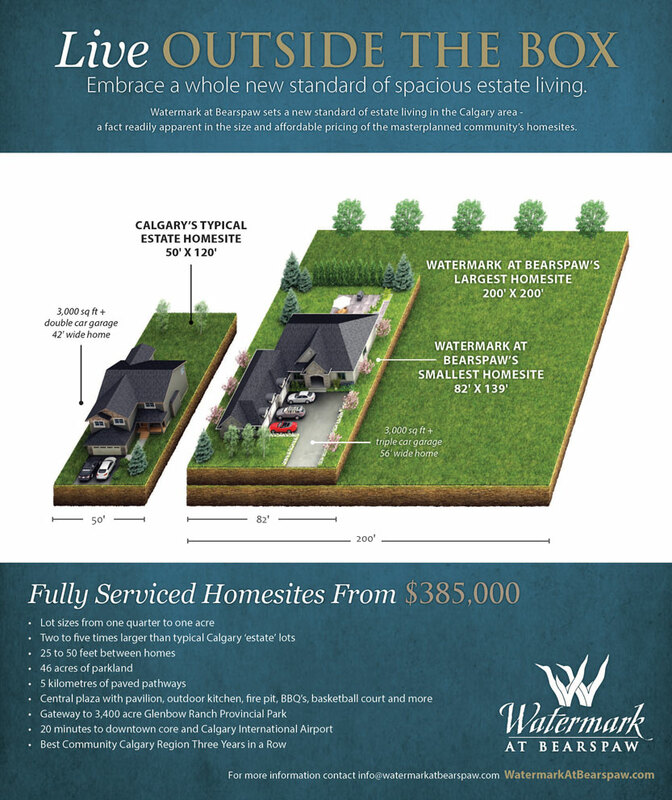 Every Watermark at Bearspaw homesite (lot) comes connected to the same regional services you'd expect from living in the city of Calgary. "Fully serviced" means your home will be connected to potable water, sanitary and storm sewer, electricity, natural gas, telephone, cable television and broadband Internet. Ours is the first community in the coveted Bearspaw area to offer fully serviced lots. How is Watermark able to have regional sewage service when you are not located within Calgary? Watermark has a state-of-the-art Wastewater Treatment Facility on-site. Approved by Alberta Environment and Rocky View County, it uses leading technologies that surpass the City of Calgary's current facilities. The Facility appears as a high-end, well kept custom home, and was designed and constructed to have no odour or noise impacts on the community. A detailed information package is available upon request at our Sales Centre. Please click here to see a rendering of the Facility. What amenities have been constructed within the community? The centre piece of Watermark at Bearspaw is the central plaza, complete with large pavilion, outdoor kitchen, fire pit, picnic tables, barbecues, NBA-sized basketball and sports court, grass playing field, children's playgrounds and restroom facilities. In addition, the community includes more than five kilometres of paved trails that meander through 46 acres of parkland, ponds and cascading streams. What do the community's Homeowners' Association fees include? A Homeowners' Association has been formed and will be collecting a fee of $225 per month. This fee will cover common area repairs and upkeep including maintenance of the central plaza facility, grass cutting, weeding, tree pruning, pond maintenance, recirculating pumps for the ponds, and snow removal from the roads and asphalt pathways. Also included is garbage removal, electrical fees for the lighting of the entrance monument, street bollards and plaza, as well as the maintenance and lawn mowing of all private front yards in the community. How does the size compare to standard city lots? We offer homesites (lots) from 0.26 acres (82' wide x 139' deep) to over one acre (200' x 250'). By comparison, most new Calgary communities offer a standard that is approximately 0.10 acres (35' x 120'), and other ‘estate' communities offer lots that are typically about 0.14 acres (50' x 120'). This means that you could fit over two standard sized city lots into our smallest lot. Furthermore, the standard distance between homes in the city is 8 feet, while Watermark at Bearspaw's minimum separation between homes is 25 feet. Please click here to view the difference between a Watermark at Bearspaw homesite compared to a standard city lot. Where is Watermark at Bearspaw located? The community of Watermark at Bearspaw is located on the NW border of the City of Calgary (west of Tuscany) in the Bearspaw area of Rocky View County. Bearspaw has historically been made up of small ranches and large private acreages, and it boasts one of the highest average household incomes in all of Canada. We are located directly north of Lynx Ridge Golf Course and only 20 minutes from downtown Calgary (via Crowchild Trail) and 20 minutes from Calgary International Airport (via Stoney Trail). What are the prices associated with lots and building? Our homesites start under $400,000. You should budget a minimum of $1.2 million for your lot and custom estate home. For more information on building your custom estate home, please contact one of our Builders of Distinction. For up-to-date information on our available lots and prices, please click here. What school district and hockey district is Watermark at Bearspaw located in? We are located within the Rocky View County Board of Education catchment area and are zoned for Bearspaw School (K-8) and Cochrane High School (9-12). For more information on these schools and a list of other public and private schools nearby, please click here. For hockey, our community is part of the Cochrane Minor Hockey Association. With the addition of the Bearspaw Lifestyle Centre's future multi-purpose arena and hockey rink, it is a distinct possibility that Bearspaw will create its own hockey district. Are there architectural guidelines and minimum home sizes? Yes. We created our architectural and landscaping guidelines to craft and preserve a community of uncompromising quality. Although the guidelines call for high-end custom homes, they are not so restrictive as to limit creativity and expressions of individual style. 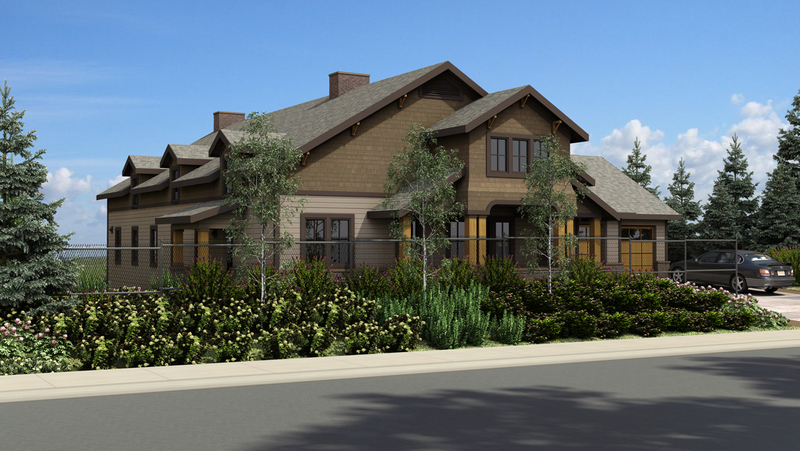 Minimum home sizes are 2,045 sq ft for bungalows and 2,450 sq ft for two-storey homes. What is the building commitment, and how long will the community take to be completed? From the day you take title of your homesite, you have 6 months to begin construction and another 18 months to complete construction after commencement. Please feel free to contact the sales team to find out how many homesites have been sold and the number of homes currently under construction.